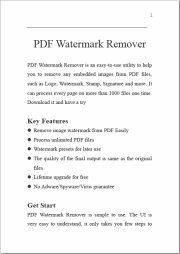 PDF Watermark Remover is an easy-to-use utility to help you to remove any embedded images from PDF files, such as Logo, Watermark, Stamp, Signature and more. 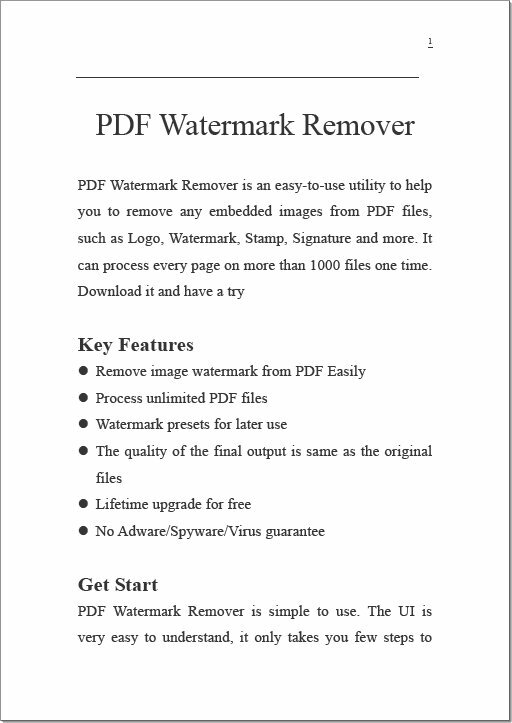 It can process every page on more than 1000 files one time. 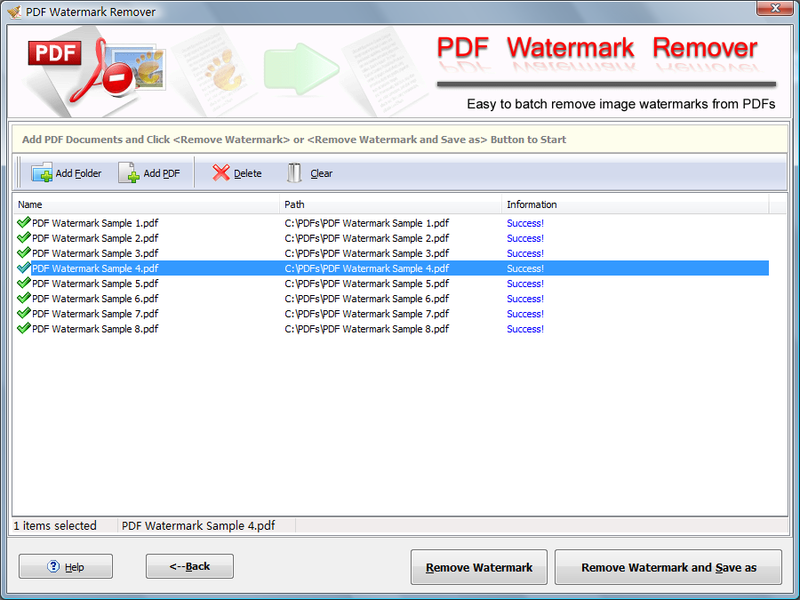 PDF Watermark Remover is simple to use. 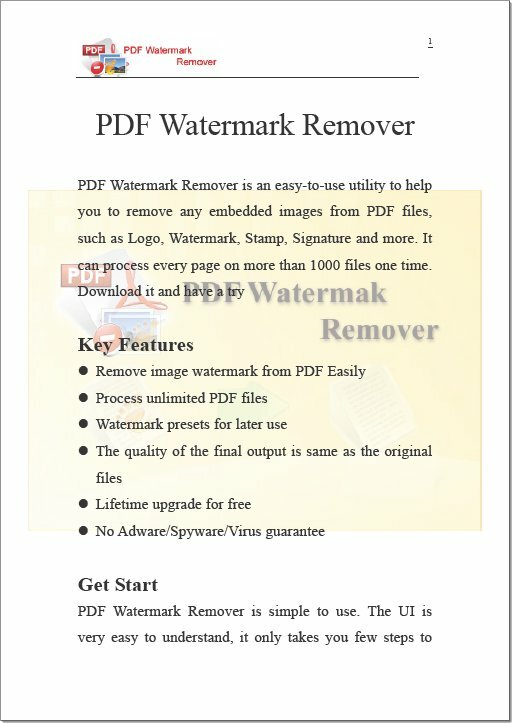 The UI is very easy to understand, it only takes you few steps to remove you PDF image watermark automatically. 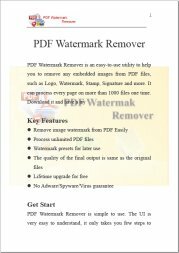 Click "Remove Watermark" button to start remove watermark from added PDF document automatically. Please don't hesitate to ask us if you have any question. We'll be glad to help you. We provide customization if it can not work for you.